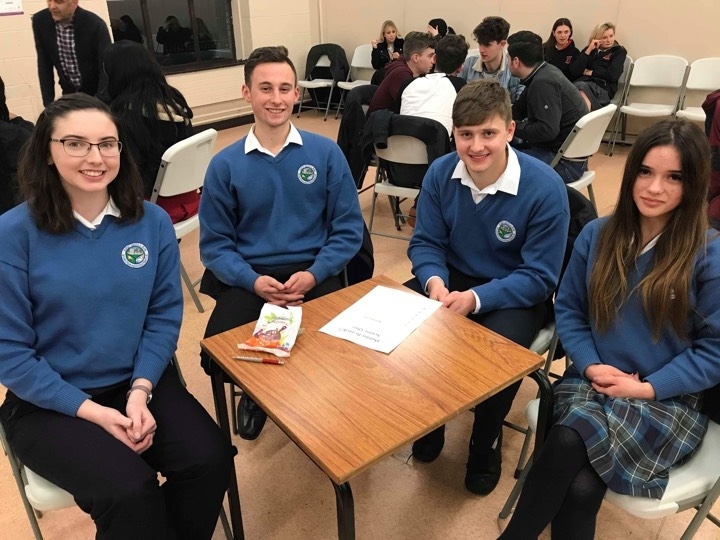 Well Done to our Senior History Quiz Team who took part in a quiz organised by the Dublin HTAI (Twitter Page @DublinHTAI) in Tallaght CS, on the 23rd January. A great effort was made by Lucian, Dennis, Victoria and Caitlin. We will be back next year for the trophy!